Welcome to the first monthly Dev Digest designed to help you—the Office 365 developer—keep up-to-date with what’s new in Office 365 development. Our team discussed doing this based on feedback from the Yammer Network community. We understand people want various ways to keep up with what’s new in our dev world beyond engaging on the Yammer O365 dev groups on a daily basis; following along on the weekly podcast hosted by myself or attending our major conferences twice a year for a wrap-up of where we are. The monthly Dev Digest was conceived from this understanding and feedback. In the future, keep an eye out for the monthly Dev Digest on the third Thursday of every month. It’s time for the 2015 Office App Awards, where we recognize the best of third-party apps that leverage the Office platform. Nominations open on Friday, March 20th. This year we’re broadening the scope of recognized apps to include native mobile apps that extend Office—including those built on other platforms—as well as web services leveraging the new Office 365 APIs and register with Azure AD. However, apps in the Office Store will remain the major focus. To be eligible for recognition, an app must call Office APIs, be net-new or updated since January 1, 2015 and hosted in the Office Store, Azure AD Gallery, or a leading mobile device app store (Google Marketplace and Android apps; iTunes or Windows Phone). Bonus points go to apps that are nominated, or are newly submitted or updated between March 20th and May 10th, the closing date for nominations. Judging will be done by Microsoft engineering and marketing teams, and awards to be handed out at a dinner tentatively set for July 14th in Orlando, FL during the Microsoft Worldwide Partner Conference. Winners receive an array of developer-friendly prizes, promotion in the Office Store and at the Worldwide Partner Conference and ongoing promotion to the field after the WPC event. Submit a new or updated app now or nominate an existing favorite! For details, including nomination forms for your favorite apps, please go to dev.office.com and look for the “2015 App Awards” link under the “Quick Links” section on the left side of the home page. Check out the latest news from Office Blogs that is useful to know as an Office 365 developer. I’m particular excited with the improvements to the API Sandbox for the Office 365 APIs that now support C# samples. You can also vote on UserVoice for other languages to be supported. Engineering teams are watching very closely, so have your say! Our team is continually on the lookout for new code samples to help you jump start your own projects. Here is a list of the most recent new and updated samples from Microsoft as well as the community. The Property Inspector Keynote demo is something we are iterating on to showcase all of the platform stack. With My App, you can pin to the App launcher and Cordova, Xamarin, native iOS and native Android versions of the mobile app. It is great to see Jason Johnston on the Exchange team also pushing out samples in different languages like Python, Ruby on Rails and PHP. For more code samples check out the dev.office.com/code-samples. Since joining Microsoft last year, I have been running around campus interviewing people about various dev topics. If you would like to hear me interview someone on a particular topic, please submit your suggestions in the Yammer group and I’ll go hunt the relevant people down to interview. The Microsoft Patterns and Practices team is working hard to release samples to show the power of the App Model. Don’t forget to join the monthly community calls to hear the updates from them directly on Skype for Business. There are plenty of events on the horizon…don’t miss out on these great events with Office 365 content. Our team looks forward to meeting you all at these events, so don’t be shy come say hello at the Office 365 booth! Helps teachers set up a shared notebook for a class. Used by tens of thousands of students and supported in more than ten languages! 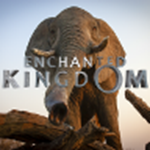 Set in Africa, Enchanted Kingdom is the most ambitious 3D nature film ever. 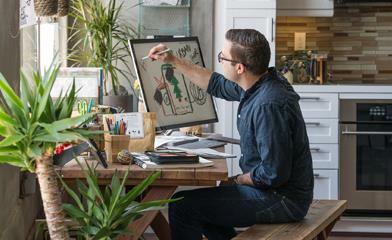 Discover and use imagery from the film in your own work in Word! A comprehensive enterprise-grade solution for including video content within SharePoint sites in Office 365. Offers ready-to-use configurable app parts that site owners can insert into any page on their sites. The complete electronic signature solution from the company who brought you the PDF. For Word and PowerPoint. From capturing time and expense to matter management to client invoicing, LexisNexis Firm Manager® provides attorneys’ with the tools needed to easily manage their practice. For PowerPoint and Word.